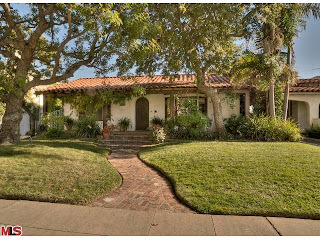 10520 Ohio Avenue LA CA 90024 received a price reduction this week of 3.23% or $45,000, down to $1,350,000. Listed 85 days ago on 2/16/11 for $1,395,000, this is the first price reduction of the current listing term. The home was listed last October for $1,675,000 and spent 40 days on the market with 1 price change. Relisted at the end of November for $1,575,00, the home spent another 50 days on the market with 1 price change. According to the public records, the home is a 3 bedroom / 3 bath, 2,062 sq ft of living space on a 6,760 sq ft lot. In addition to the 3 bedrooms there is a separate bonus room or office space in the back of the house.